Mike Pender. Skipper of the Emerald Dawn. Head of the Family! 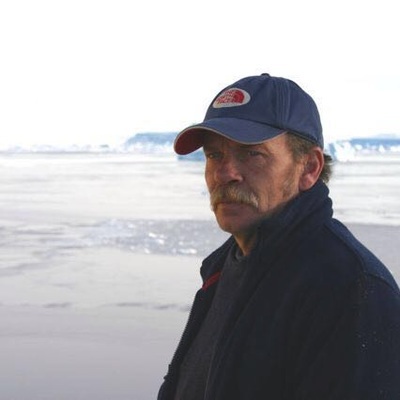 Mark Pender, 'The Bear'. Skipper of the 'Tradewinds'. Father to Lauren & Arran. Amanda Pender. The 'Boss'. Sister to Mark & Mother to Shamus & Chessen. Lauren Pender. Boss in Waiting! Andy, father of Shamus & Chessen, husband to Amanda, puts up with the Pender clan! Chessen owner of Simba the best fed cat in the world! Arran, captain in waiting and most uncomplaining member of the family! The Pender Family has been fishing the waters of Scilly for as far back as we can trace. Whilst the most recent generation may have all the benefits of modern technology (modern lifejackets, radio communication, radar etc.) in reality little has changed when it comes to deciding where best to shoot the gear, working around the tide and of course dodging bad weather. 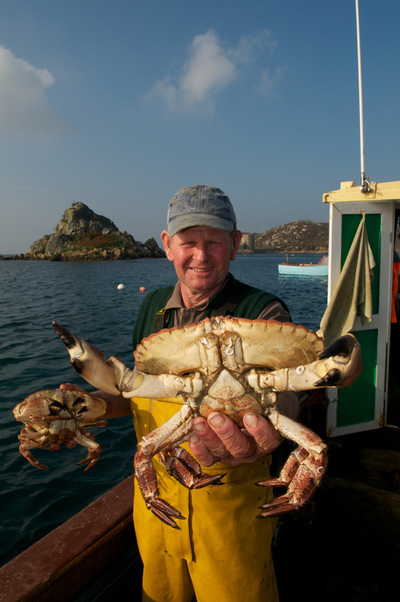 Even the way we process our crab meat has changed little from the times of our grandparents - every strand is still picked by hand!. Being able to read the weather and to adapt accordingly so that no matter what the conditions you can sneak out to haul a few strings of pots & still earn a few schillings, is something that cannot be learnt. It is a skill that is passed from father to son (and now even daughter!) and learnt at a very early age. 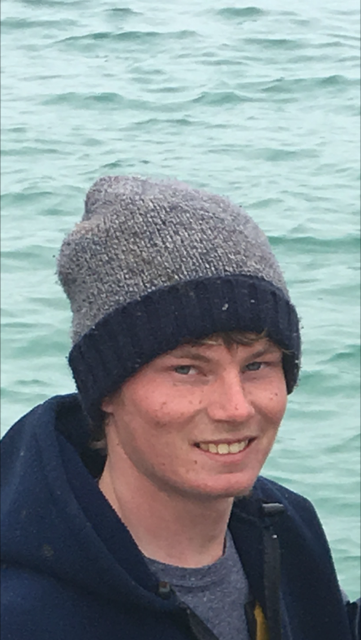 Mike learnt his skills from his father William Pender, whilst Mark began going to sea as soon as he could walk. He started off by steering the boat stood on an upturned bucket before moving on to working the hauler, baiting and stacking pots and getting his own small punt at the age of 11. Shamus and Arran have followed a similar pattern, in fact these days it is usually a case of too many skippers and not enough crew! 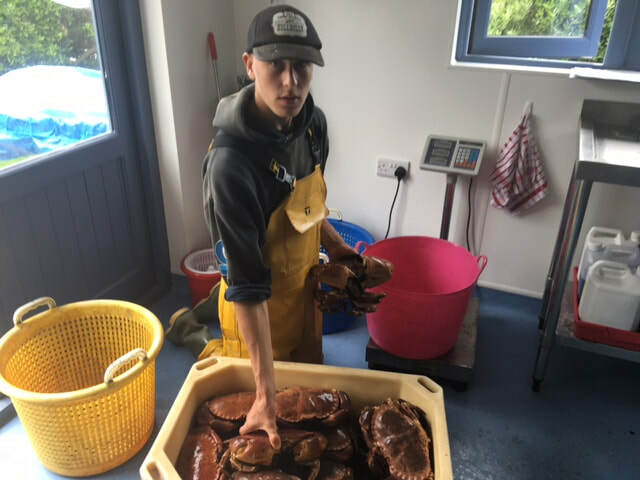 Whilst Mike & Sue have supplied fresh crab & lobster to visitors to Scilly for over 50 years Island Fish began life very recently - on the 1st May 2015. Like most children Amanda & Mark looked at what their parents had done before them and thought they could do better! After many a family discussion in early 2015 Mark gave up his job in the offshore industry and Amanda gave up her job working for the Islands' Partnership, the islands marketing organisation. And that's how Island Fish began, on a leap of faith. We operate from the end of March through to the end of December. We go to sea 7 days a week, weather permitting. Our shop is open Monday - Saturday 9.30 - 5.30 and Sunday 10.00 - 4.00. We operate a 'pop' up' stall on Tresco on Tuesday 3.30 - 5.30 and attend as many out 'events' as possible. Look out for us at the 'low tide festivals'. The magic ingredients, a superlative product, hard work, and a passion for a way of life. we all believe in and want to share with our customers. Mike and Mark - the early days, when they had hair! The best things about setting up Island Fish . . .
Mike Pender - 'Building something for the future and leaving a sustainable fishing interest for the future'. 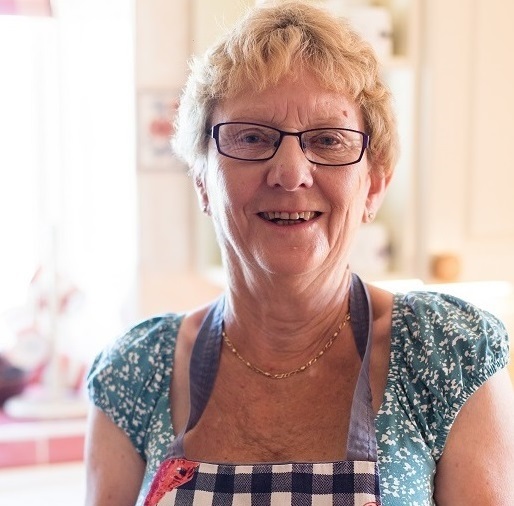 Sue Pender - 'That I have my family here all working together, hopefully building something very special for our grandchildren & great grandchildren'. Mark Pender - 'Working with family & building something to for the next generation who come along after us'. Amanda Pender - 'Meeting people. The people we met during 2015 were all so lovely and genuinely interested in what we do, working to build up Island Fish has definitely restored my faith in human nature'. 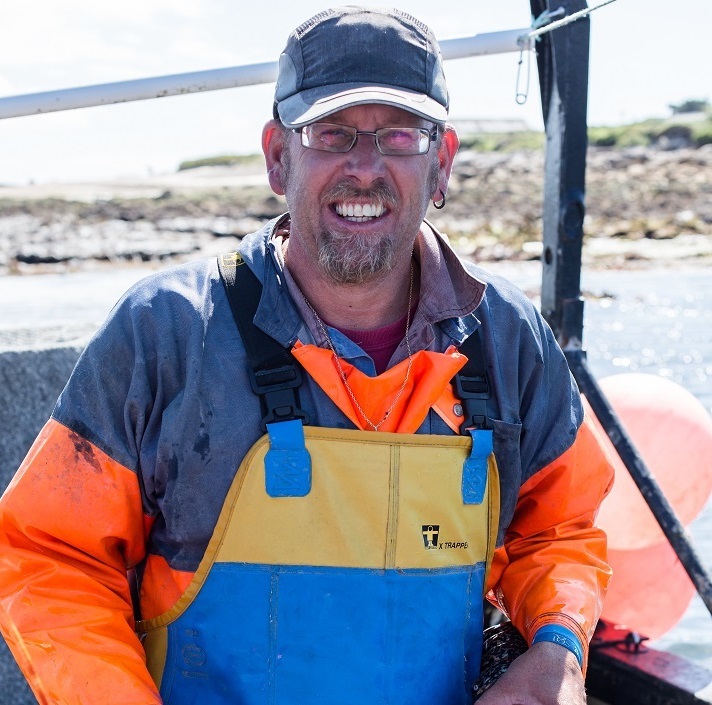 Andrew Frazer - 'Island Fish lets us all work at what we love doing, its lets us be who we want to be'. 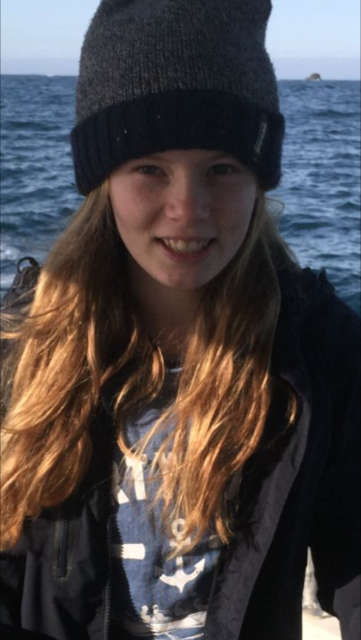 Shamus Pender- Frazer- 'Being able to learn and make great memories at sea doing things we love the most with the people who we love the most'. 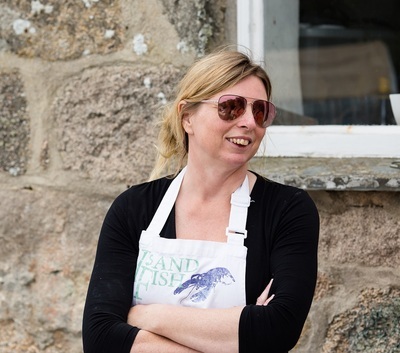 Lauren Pender - 'Working together as a family and being able to show our heritage to visitors whilst doing what we all love'. 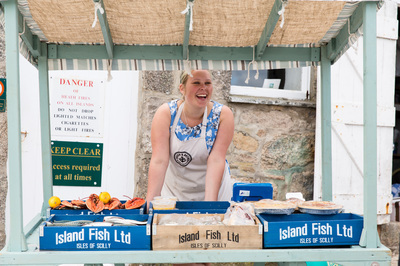 Arran Pender - 'Seeing the fish go straight from the sea to shop in a family community'.